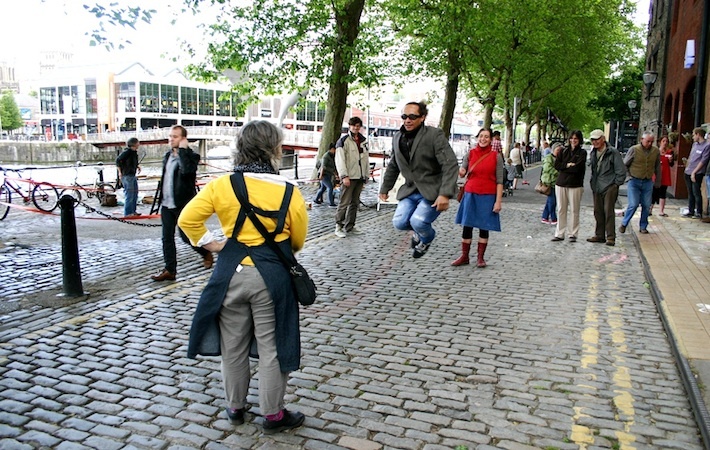 Public Skipping Service was created as part of Amy’s artist residency at Playing Out to illuminate the ease with which small, accessible actions that can be done by anyone to encourage cross-generation neighbourhood play. 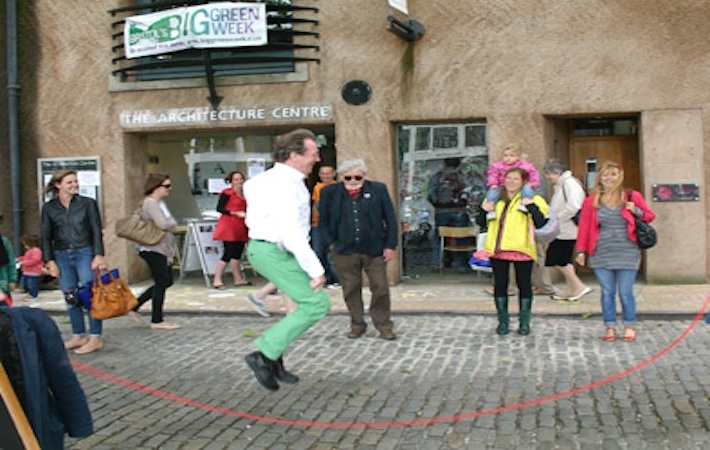 It is performed in urban settings by Amy and others. 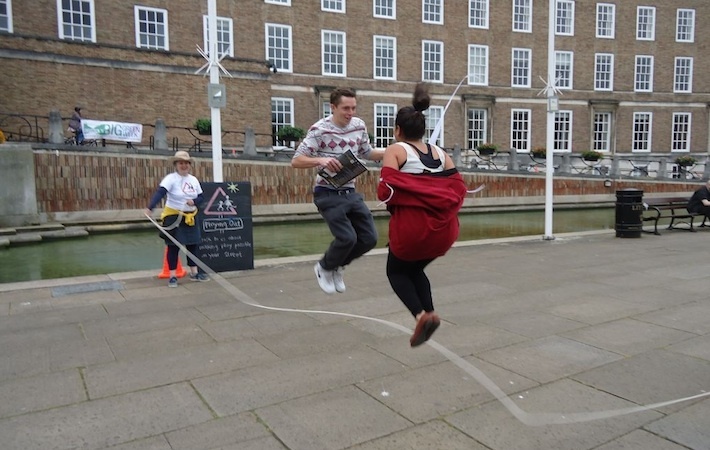 Conceived as a dialogical arts project, the Public Skipping Service offers a lively and engaging setting for the exchange of childhood memories, rhymes, and ideas relating to street reclaiming and the playable city.